Today many people have had their fill of sun-drenched holidays in the usual European hotspots packed with holidaymakers and which can be so overwhelming that you feel as though you need another break the minute you get back home. Package deals may be cheap and cheerful, but they can also be mundane, frustrating, and far from the kind of refreshing and inspiring holiday you were after. This is why Morocco has become such a firm favourite with those looking for a far different holiday beyond the ordinary. It’s close enough to most European countries and hardly any further in flying time than Spain and Greece. And as Morocco can be incredibly inexpensive, there are lots of great-priced trips and excursions to enjoy. What Morocco promises is an aura of Arabian mystique melded with a rich blend of Berber culture that reverberates from many past centuries, as well as sights and experiences that will simply take your breath away. And, what is more, this extraordinary country on the northwestern flank of the mighty continent of Africa is fringed by the astounding scenes of the enormous Sahara Desert and ridged by towering and dramatic mountain ranges soaring into the dazzling azure sky. It’s no wonder so many visitors are captivated and mesmerised by Morocco, as though they had fallen under a travellers’ spell and are simply unable to resist returning again and again. 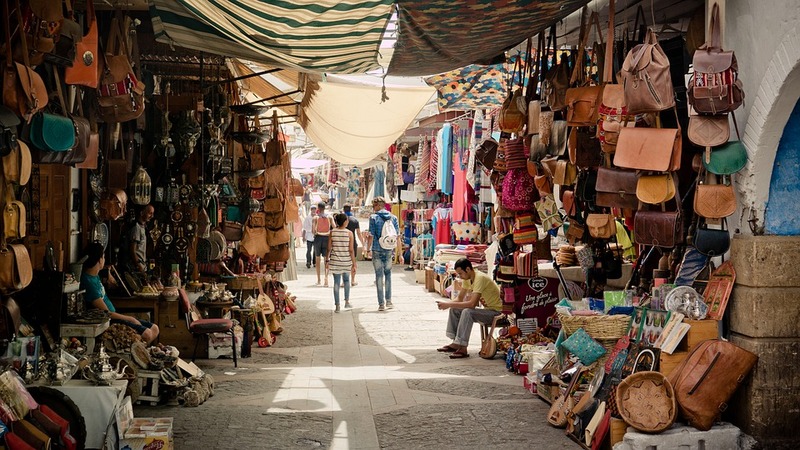 In Morocco, you can have everything, and more, that makes for the most memorable of holidays. Basing yourself in one of the country’s vibrant and romantic cities before heading out on any number of trips in Morocco during your stay — to the desert, the mountains, the beaches, as well as immersing yourself deep into the Berber way of life — is an opulent joy, and has so many amazing aspects that you’ll feel as though you’ve won the holiday lottery of a lifetime. Cities such as Marrakesh, Fez, Casablanca, Essaouira, Tangiers, Rabat, Agadir and others warmly welcome visitors from all over the world with the heartfelt embrace that the wonderful Moroccan people are famous for. With their magical markets, striking architecture, grand palaces and lush gardens, it’s tempting not to stray beyond the city boundaries at all. But waiting out there in the hot desert sands and mountain ridges of Morocco is another world of wondrous adventure you just have to explore. No trip in Morocco is complete without witnessing the sheer majesty of the mighty Sahara Desert, and it’s certainly true to say you have not experienced life on planet Earth until you have set foot in the largest dry desert in the entire world and experienced its astounding, rolling dunes, which go on for as far as the eye can see. Viewing it from a lofty position atop a camel is another thrill entirely and not one to be missed during your trips in Morocco. Imagine dining under the stars way out in the Sahara and retiring to luxurious tented accommodation for the night where all your needs are catered for. It’s the stuff of dreams and it’s waiting to become your very own Moroccan desert reality. Head up into the Atlas mountains and see how the centuries-old Berber way of life exists today. Explore wide and craggy passes, and deep and plunging gorges festooned with hardy sprigs of vegetation as you look on at the fascinating, cave-dwelling Berber folk, who remain steadfast in their adherence to their ancient culture, even with all the fast-paced changes of technology-focused modern life. It’s exactly the breath of fresh travelling air you may need. And there’s no better way to round off an astounding trip to Morocco than to laze on one of the many beaches — in Agadir, Essaouira, Oualidia and more — in this land that really does have it all.